Artemisia, a theater company for female-driven plays, will host its annual Fall Festival of free staged readings in Edgewater this year at the Frontier/Jackalope Theater. In bringing its feminist and democratic play production system to the area, Artemisia joins a recent wave of socially conscious theater groups moving to Edgewater and Andersonville. The six plays that actors and directors will stage on Sept. 18, 19, 25 and 26 all feature female protagonists and aim to challenge the audience’s perceptions of women. Julie Proudfoot, founder and artistic director of Artemisia, and her team picked the plays out of 350 submissions. They based their decisions on the company’s stated mission to produce plays that empower women and challenge audiences’ perception of women. The Fall Festival asks audiences to decide which of the six plays Artemisia will perform as a full production next season. Proudfoot said she asks every audience three questions: do you think this play empowers women? Does this play change your perception of women? Should Artemisia produce this play? Proudfoot said she thinks Edgewater is the perfect place to bring Artemisia’s plays and mission. Here, she joins a growing number of theater companies based in Andersonville and Edgewater with similar missions of representing people that traditional theater often forgets. “Space controls the future in theater,” Proudfoot said. 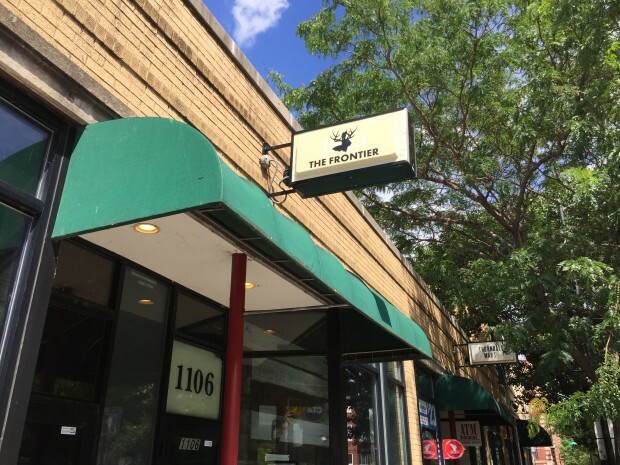 The space available at the Jackalope Theater’s Frontier space on Thorndale initially drew Artemisia’s interest. She said she wanted to continue developing new work focusing on the community, so Proudfoot engaged Alderman Harry Osterman, 48th ward, who was interested in building Edgewater’s theater district. About Face Theater Company moved their corporate offices to Edgewater in 2014 and Artistic Director Andrew Volkoff said they plan on moving their performance space as well. He attributes the area’s growth in theater companies to Osterman and his efforts to grow the theater district. Volkoff estimated that many of his audiences at About Face’s performances in Lakeview come from Edgewater and Andersonville. Aston Rep theater company stages performances in the Raven Theater. Artistic Director Robin Tobin said he sees that people here are interested in a special type of theater. “Somewhere in the Middle,” by Julie Proudfoot and directed by Carrie Lee Patterson, is loosely inspired by artist Jenny Saville and follows the relationship between a fiercely independent female artist and a wealthy patron. It deals with the tension between art and commerce. Friday, Sept. 18, 8 p.m.
“Converting to Bangladesh,” by Victoria Cano and directed by Jamal Howard, is Cano’s first full-length play, but she has won awards for her one act plays. Converting to Bangladesh is based on Cano’s experiences as a graduate student researching water sanitation and gender rights. Proudfoot called they play’s dialogue “unique, funny and new.” Saturday, Sept. 19, 2 p.m.
“Bohemians,” by Jaki McCarrick and directed by Grace V. Cannon, is loosely inspired by Patti Smith and follows a 50-year-old punk rocker struggling with the death of her daughter. Proudfoot said it is “darkly funny and redeeming, but goes to some dark places.” Saturday, Sept. 19, 8 p.m.
“Maize,” by Judith Pratt and directed by Mary Rose O’Connor, is inspired by scientist Barbara McClintock and her research on corn genetics. It depicts a young scientist at the height of her discoveries and later as a woman outliving her fame. Friday, Sept. 25, 8 p.m.
“Cuttings,” by Thomas M. Atkinson and directed by Julie Proudfoot, is about a gardener and her fractured identity. The play asks if an accident she suffered as a child left her incapable of being happy. Saturday, Sept. 26, 2 p.m.
“Visiting,” by Ed Proudfoot and directed by Steve Scott, is about a high school student on a family picnic. Her mother is in treatment for a diagnosed mental illness, which challenges the protagonist. Saturday, Sept. 26, 8 p.m.